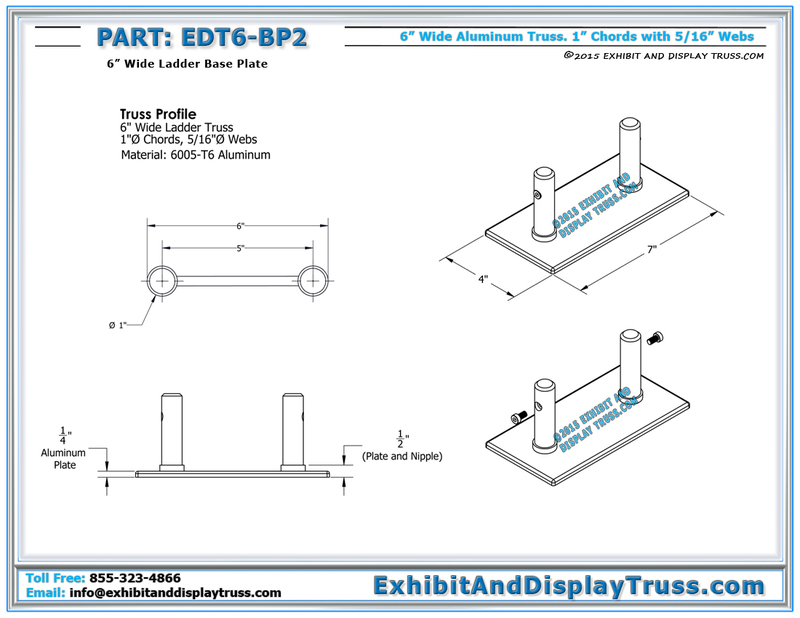 6″ Wide Ladder Base Plate (EDT6-Bp2). 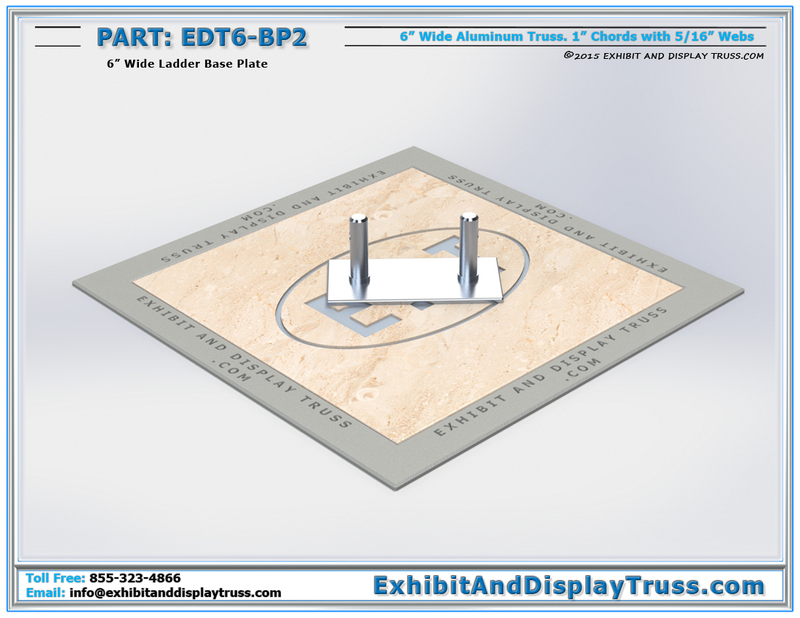 Ladder base plates are the foundation of your portable exhibits and trade show designs. They have a 1″ connection insert welded to a plate that use the same same socket screw (as the connection inserts). The truss tubes, or chords, slide over the welded inserts on the tri base plate and are secured with the nuts and bolts. 6″ wide aluminum mini truss is our smallest profile shape, making it very light weight and easily transportable. 6″ wide truss and mini truss kits are perfect for large and smaller display booths, portable exhibits, truss arches, as well as retail booths and product displays. Mini truss kits offer parts no longer than 4′, allowing kits to be broken down into small piles for easy transport. Truss components are constructed of square, triangular or flat pieces. Exhibit and Display Truss offers three different truss profiles, 10 inch, 12 inch and 6 inch display trusses. All of our truss structures are designed for ease of assembly and available in a number of designs and sizes. Our truss systems are constructed of durable, high-strength aluminum and steel for supporting LCD or plasma screen mounts, banner frames and sign frames, lighting displays and other marketing accessories and advertising. 1″ chord truss is fantastic for retail environment displays and exhibits that do not need the mass or strength of the larger trusses.